For Image-Guided Ion Implantation – The Biodex Brachytherapy C-Arm Table includes all standard brachytherapy accessories, equipped specifically for seed implantation procedures. Five-axis motorized positioning controls actuation of height, X-Y, lateral roll and Trendelenburg motions of the tabletop. Four separate controllers, including joystick control with variable speed, allow smooth starts and stops programmed into all motorized movements. The tabletop’s contour and cantilevered design accommodates portable or ceiling suspended C-Arms. 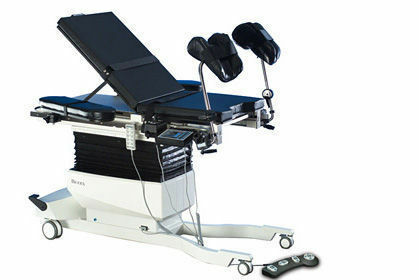 The table is suitable for all general C-arm applications.